Monday’s post, How Do I Begin Homeschooling, received a nice reaction. There were a lot of page views and clicks into the resources provided! I am very happy that post resonated with so many. Now that you have a path to get you started on your homeschooling journey, I would like to share some quick ideas to keep you going. I read an article on tips for beginning home educators and I was a little intimating after reading it. Well, the problem with that idea is, not everyone who homeschooles can build a school room in their home. I know homeschool families who live in apartments. I know homeschool families who live in a house, but the house does not have enough space for an additional school room. 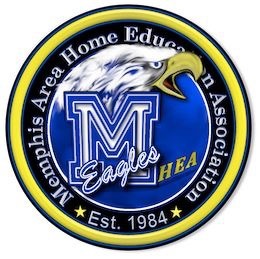 I know homeschool families living in Memphis who are only here for a short time due to work, and transforming a rented house is not an option! I would suggest a new home educator make their home as pleasant and comfortable as possible for their children to enjoy learning each day. Another suggestion from the article said, children “must be up, fully dressed, and ready to go on the dot!”. While I certainly agree that a schedule is a must as it leads to success in the long run, but as a beginner, it will take you some time to get acclimated to your new life as a homeschool family. Don’t put too much pressure on yourself. Yes, create a schedule and do your best to stick with it, but it might take you a few weeks or even months to finally get the hang of what you’re doing. As far as your children getting fully dressed to sit at their kitchen table all day – that’s really a family decision. If my children were fully dressed while doing schoolwork it would cause more problems and distractions, because they’d be uncomfortable. We ask our children to be comfortable, yet presentable before we start school. I am not trying to put down the other article. I am sure it meant well. I have conversations with parents all the time who joke about how they don’t know what they are doing. It can be silly and fun, but don’t allow yourself to believe it. Trust that you are the best teacher for YOUR children. God has given you the ability to home educate your children so rely on His wisdom for you. Do you remember your first job? The person who hired you knew you were the most qualified for that position. It took you a while to get the hang of it, right? But eventually you go it. Don’t try to do everything. Teach based on your strengths. If you need to outsource by joining a co-op for other subjects – then do it. Believe in your ability to effectively home educate your children. One parent might work while the other parent is the primary educator. That’s fine. But both parents should be mentally involved on this journey. The parent who is not the primary educator should know exactly what grade their children are in. (Seriously, I meet parents who have no idea what grade their child is in) It’s usually the parent who is not the primary educator. I’m not talking about that quirky forgetfulness we all have sometimes. I mean really does not know. I happen to believe this is due to one parent having no involvement in the homeschooling process. Both parents should be aware of the subjects and curriculum their children are using. Parents should have discussions together about what is working, as well as their child’s strengths and weaknesses. The parent who works should take some days off to help teach and attend social activities. The bottom line – the parent who is not the primary educator should not dump everything on the other parent. This will lead to strife and tension in your home if both parents are not mentally involved. Ask a lot of questions from your circle of influence, but you will have to make decisions based on your family needs. As a new home educator, years ago, I made the mistake of doing any and everything someone else suggested. This goes back to my first point – not trusting myself. If someone suggested a curriculum, I never bothered to look it up to see how it will work for our family. I simply relied on other people’s experiences. Therefore, I bought curriculum’s without researching it for our family. If one person I was talking to suggested a co-op, I’d join it without looking into how it would work for our family. I recall asking someone about cover schools. I went with the first suggestion even though it wasn’t the best option for our family. Yes, ask questions, and get advice, but remember, you have to make the right choices for your children and family. You will save time and money researching for yourself the suggestions you receive. Remember to stay active and socialize. Here in Memphis there is no shortage of field trips and social activities for homeschoolers. You can join a local co-op for the school experience as well as connecting and meeting new friends. There are a few homeschool support groups that offer field trips and social activities. There’s also a marvelous group in the Memphis area called Homeschool Roster where you will find AMAZING field trips. When we began homeschooling, it was in California, and it was not easy to find homeschool support groups. (In the area we lived in) The two years of homeschooling in California we went on maybe four total field trips and had three or four homeschool friends. The friends we had were also very busy so we really did not have a social homeschool life. We did everything alone. We went to museums and so forth, but it was never with a group of like-minded homeschoolers to share life with. It was quite lonely. When we moved to Memphis we were blown away by how much is offered to the homeschool community. I highly recommend staying active and social on this journey. Finally I would like to remind you that you will have good days and BAD days. You are not going to sing happy songs about how great homeschooling is every day. If fact, you might grunt about how horrible it is more often! Do you remember your teachers in school? Do you think they were skipping to their car with joyful songs each day? No, they weren’t. It’s hard to teach others. It’s hard to teach your own children. One moment you’re a loving parent, and the next, you’re a teacher demanding completed schoolwork. You will sit in your closet crying. You will feel horrible for screaming at your children. You will have days of laughing. You will have lazy days when you start school super late with everyone still in their pajamas, yet it turns out to be the most productive day. You will have days when you skip the “schoolwork” and enjoy outside. The bottom line; homeschooling is no cake walk. You might look at someone who seems to have it all together – and believe me- they don’t! It’s hard. But we are not willing to give up. I hope this has been encouraging to you. These are a few of my ideas, but I am sure there are more out there. The best tip I can give you goes back to point one; – trust, trust and trust! It’s all process. You and your children might make wonderful friends, and then wonder what happened to them. You will buy the BEST textbook, then sell it after two weeks because it makes no sense. You will receive FANTASTIC advice which turns out to be the worst decision you ever made on this journey. Your child will get 100% on their math five-days-in-a-row, then the next week math becomes their worst subject and you need to hire a tutor. But, it will be okay. Don’t give up. You can do it! It’s not easy, but trust God as He leads you on this amazing journey! Previous Post How Do I Begin Homeschooling My Child? Same here! More often than not! Thanks for taking the time to read and for your comment!